Some years ago Ricardo created Fistful of Fanart which showcased a lot of..., you guessed it, fanart! 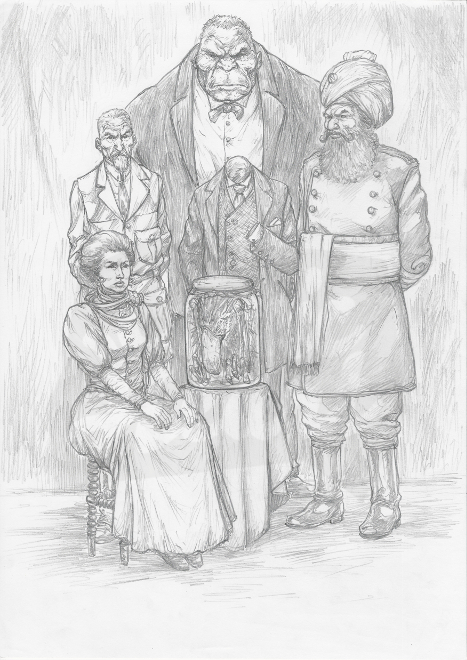 This is Ricardo's take on the League of Extraordinary Gentlemen created by Alan Moore and Kevin O'Neill. These are the original pencils for the illustration and they were made in art board (29,7 x 42 cm / 11.69" x 16.54") with lead pencils.